HUGE PRICE REDUCTION! Looking for a STAYCATION Home? 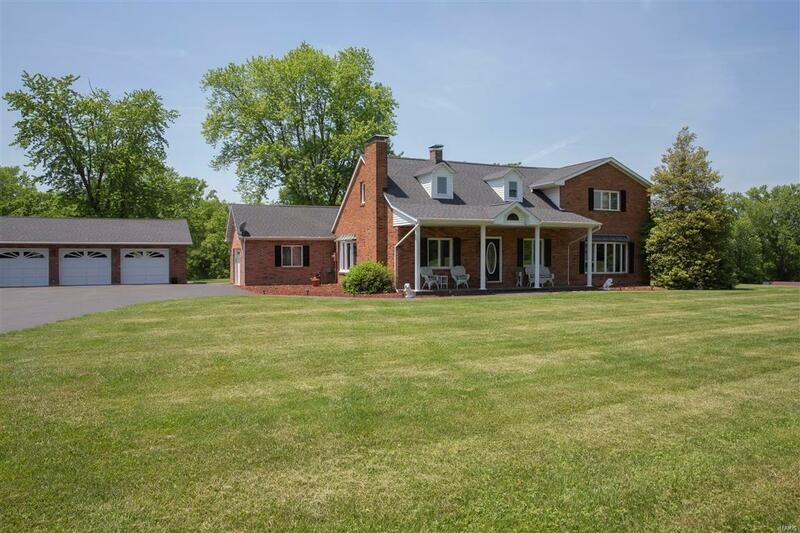 Stately, 3800+ SF, Full Brick home in country setting sits on 3.38 acres, is surrounded by nature & wildlife. Home built in 1847; remaining additions in 1995 & 2001+. There are too many updates over the years to list, but detailed list is available. Great open Foyer with beautiful staircase, carved, wood doors. There is a large Combo Living Room-Family Room. Every room has lots of space, light & views to nature. The Den-Office, offers custom Millwork, could be used as a wine tasting room w/door leading to cellar basement, that is ideal for a wine cellar. Kitchen has plenty of cabinets & additional pantry in large, laundry room. Bedrooms are all great sizes w/ possible 4th bedroom (or bonus room) upstairs too. Outside you have beautiful views of the acreage, trees, wooded area w/ a custom, concrete pool, pool house w/ 1/2 bath, stamped concrete, HUGE Pavillion, attached 1 car & detached 3 car garage! O'Fallon Schools! MOTIVATED!